Where do I find the model number and model name on my Blu Ray Disk Player? To respond to your inquiries about the product correctly, Samsung recommends you to establish and inform us of the correct model of your product. The exact model name will help us to give you the best service possible. 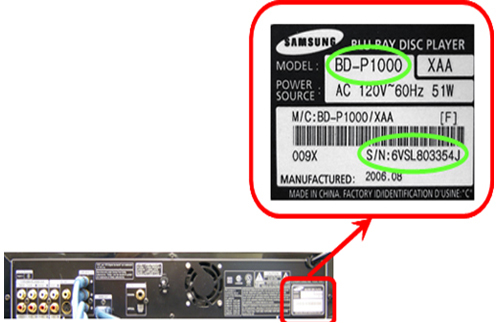 Refer to this article to find the model name on Blue Ray Disk player.